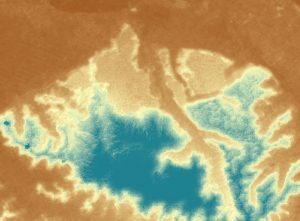 The Apollo Mapping sales team is always looking out for new and useful geospatial datasets to add to our already massive list of available digital elevation models (DEMs) and satellite images. And this month we are happy to introduce a 5-meter (m) DEM with near global coverage! In conjunction with our new partner, NTT DATA, we are now able to offer 5-m AW3D Standard DEM products from an archive covering more than 80% of the world. As an added bonus, you are able to search for AW3D in Image Hunter, making this DEM our fastest to query, order and deliver. This entry was posted in The Geospatial Times and tagged 5-meter, AW3D, Datasets, monthly spotlight, New, The Geospatial Times by Apollo Mapping. Bookmark the permalink. Could you send me the price list for 5-meter Global Coverage DEM – AW3D Standard? Hi Seungho – I will email it to you now!